For many parents this may be the first time you have enrolled your child in an organized sport and we would like to provide you with a general outline on what to expect. Soccer gear and attire: Your child will require a few mandatory items for soccer, the first is shin pads and the second is soccer shoes (smooth bottom boots for indoor and firm ground boots for outdoor). Soccer boots can be readily purchased at local sports stores but don’t forget to look out for gently used pairs that can work just as well. When you first sign up for Blizzard your child will be given a jersey (to wear during the season and must be returned at the end) a pair of Blizzard shorts and socks (to keep). Additional gear such as back packs and tracksuits can be purchased at Kicks in Varsity in NW Calgary. Any additional gear is optional. At the start of every season Blizzard holds a Blizzard Swap Day where players are encouraged to drop off items that no longer fit and take new items that they may need. Many players drop off old boots and shin pads too. This is a great way to recycle clothing and gather items your child may need at no cost. Fundraising: Depending on the tier your child is playing, most teams embark on some level of fundraising during the year to help pay for tournaments. You should anticipate that you will be involved in some fundraising activities throughout the season such as bottle drives, raffle ticket sales and other activities to assist the team. Even if you are able to write a cheque to pay for your child’s extra expenses, remember not everyone on the team may be as fortunate. In addition, these activities bring many other benefits such as team bonding and character building. Tournament travel: Again, depending on the tier your child plays, many teams enter tournaments either locally or that may require travel. For most players this is where long lasting memories are made and it is a fun part of playing on a team. What tournaments you participate in are usually decided by the coach with input from the parents. 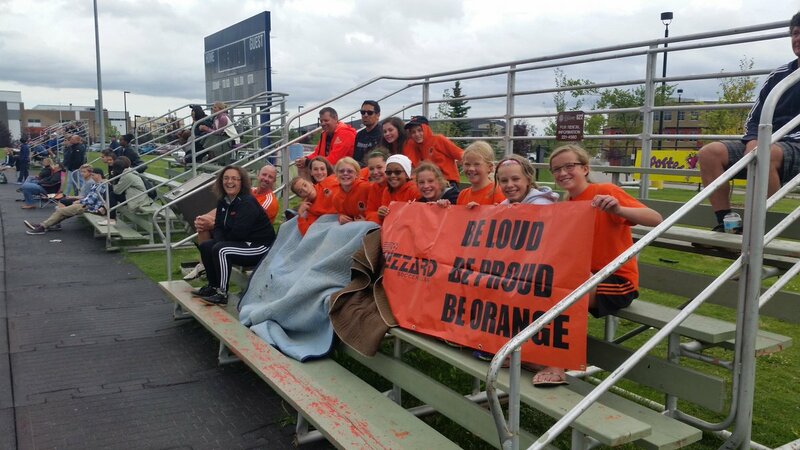 Volunteering: The best way to get involved and enjoy your soccer experience is volunteer. Our club relies on volunteers to give the players the best possible experience. Even if you are busy and can’t volunteer on a regular basis, offering to do even a small task can be helpful and will be appreciated. For more details on volunteer positions within the club please see details under registration. To volunteer as a coach or team manager please see the tab under our website on how to get involved. Have fun and enjoy the moment! : Depending on the level of play and commitment your child has to soccer you may be spending a lot of time with the other parents and coaches on your child’s team. Organized sports brings with it highs and lows but if your child is enjoying it you should too! Don’t lose sight on why you are there. 1. Let the coaches coach: Leave the coaching to the coaches. This includes preparing your child for practices, games, and tournaments. You have entrusted the care of your player to the coaches. They need to be free to do their job. If players have too many coaches, it is confusing for them and their performance usually declines. 2. Support the program: Get involved with the Club and the team. Become the team manager, the linesman (assistant referee) at games or any other help the team and Club needs. 4. Support and root for all players on the team: Foster teamwork. Your child’s teammates are not the enemy. When all players are working hard and playing well, it creates the optimum learning environment. 5. Do not bribe or offer incentives: Your job is not to motivate, leave this to the coaching staff. Bribes will distract your child from properly concentrating in practices and games. 6. Encourage your child to talk with the coaches: If your child is having difficulties in practices or games, or can’t make a practice, etc., encourage them to speak directly to the coaches. This “responsibility taking” is a big part of becoming a bigtime player. 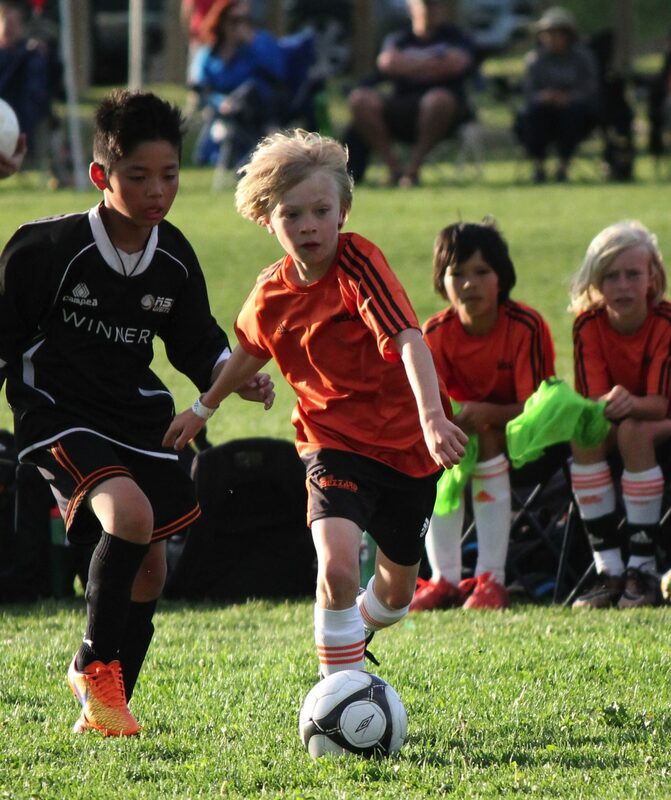 By handling the off-field tasks, your child is claiming ownership of all aspects of the game. 7. Understand and display appropriate game behavior: Remember, your child’s self esteem and game performance is at stake. To perform to the best of a player’s ability, one needs to focus on the parts of the game that they can control. Parents yelling from the sidelines can distract players from concentrating on their duties. Even comments of encouragement can be in complete contrast to the instructions the coach has given them. Telling a player to “kick it up the field,” may give up possession when the team is trying to keep the ball. The comment, “Run after it,” may negate the tactic of defending as a unit over two thirds of the field. Please cheer, but don’t coach! 8. Soccer in its proper perspective: Soccer should not be larger than life. If your child’s performance produces strong emotions in you, suppress them. Remember your relationship will continue with your children long after their competitive soccer days are over. Keep your goals and needs separate from your child’s experience. 9. Have fun: This is what it’s all about! We will try to challenge your child to reach past their “comfort level” and improve themselves as a player, and thus, a person. We will attempt to do this in an environment that is fun, yet challenging. Adapted from the New Hampshire Soccer Association’s “Parental Support – The Key to Peak Performance” and the Calgary Minor Soccer Association website.